Adapting classical literature for the big screen is one of Hollywood’s most time honored traditions. Countless books have been adapted for the silver screen since the industry’s Golden Era. Just as common for movie studios to do is to adapt stage plays that have themselves been adapted from books. So as common as this practice is even now in Hollywood’s modern era, it takes a lot to make a movie of this fashion stand out in today’s overly crowded movie market. 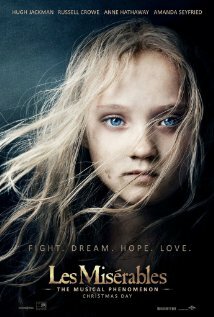 Enter the newest big screen adaptation of Victor Hugo’s classic story, Les Miserables. The latest adaptation of Victor Hugo’s timeless story of redemption is one of the best movies of 2012. And now that it has been released to BD/DVD/Digital combo pack, it has proven to be one of this year’s best home releases. It isn’t the year’s best. But it does come close as it struggles with at least two glaring issues. Those issues are the movie’s scene transitions and its general cinematography. Much of the cinematography issue goes hand in hand with the problematic scene transitions. Though there’s just as much problem with this movie’s shooting style not directly linked to the transitions in question. Despite having issues with shooting and scene transitions, the movie’s positives far outweigh its negatives. And those positives are many. The primary positive to the home release of Les Miserables is its abundance of bonus features. The bonus features included in the movie’s new home release offer lots of interesting tidbits that make the movie more worthy of respect. For starters, viewers learn through the bonus features that star Hugh Jackman actually went through a rather rigorous diet and exercise regimen in order to obtain a specific look of a convict who has spent much of his life in prison. It definitely worked as he looked every part the convincing character. Just as interesting to learn in watching the bonus features is the vocal work that went into singing each scene. Most audiences know by now that the entire movie was sung. It shows how seriously those behind the movie took its creation. The bonus features expand on the musical aspect of the movie. Jackman and company explain the training that was undertaken and how the cast and crew balanced the noise of the cast and instruments with the cast singing. Part of that balance came in the form of carpeting on the scenery floors to cancel out footsteps and keeping the pianist in a soundproof box, just to point out a little bit. One could go on for quite some time discussing the role of the bonus features in the new home release of Les Miserables. But viewers would be better left to check out the remaining bonus features for themselves. That’s because there is so much more to cover in this new home release. The bonus features included in the new home release of Les Miserables go a long way toward making the movie better at home than it was in theaters. So what else could help elevate the movie? How about the director’s commentary? Director Tom Hooper discusses a variety of topics throughout the course of the movie. Perhaps the most interesting aspect of his commentary is how he and writers Claude-Michel Schonberg and Alain Boublil adapted not just the famed stage play but also the original literary work into one full big screen work. Those who have read the novel likely recognize the combination. But those who are more familiar with the stage presentation will appreciate this little nugget of information. It explains away the order of events in the movie in comparison to the stage work. This is just one more factor that makes Les Miserables better than it was originally given credit for in theaters. And yet again, it’s more proof of the value of special features on a movie’s home release. Speaking of the movie’s audio commentary, the commentary involuntarily points out one more positive to the movie. That positive is the movie’s casting. Experienced fans will recognize both Samantha Barks and Colm Wilkinson from the 25th anniversary performance of the musical from London’s O2 arena. Samantha Barks reprises her role here as Eponine. Wilkinson on the other hand actually plays the bishop. This role is just as important as that of Jean Valjean in that it is the bishop who first helps Valjean turn around his life. He showed in his performance here that his vocal chops are just as sharp as ever. Just as interesting as Wilkinson and Bark returning for this adaptation of Les Miserables is the mention by [Tom] Hooper that casting Eddie Redmayne was quite the choice considering so many of his fellow actors had also played the role of Marius. One can only imagine how nerve wracking it had to have been for Redmayne to have been so new to the role and surrounded by those who were so experienced in his role. He pulled off the role quite well though. This little piece of information, along with everything else that Hooper discusses in the audio commentary makes the movie that much more enjoyable. Though, it should be pointed out that while he does discuss the camera work, there is no apology for his shooting style. It is that shooting style that is really the movie’s one major downfall. The music, acting, and scenery make this latest adaptation of Les Miserables a huge hit, as do the bonus features and audio commentary. For all of this movie’s shining positives, there is one glaring negative that none of the positives can erase. That negative is the general cinematography. It, along with some of the scene transitions, makes things a little bit difficult to handle; so difficult in fact that they could leave viewers feeling slightly dizzy and even confused. The problem with the cinematography is that throughout the movie, Hooper tries too hard to catch the emotion of his cast. The resultant effect is that it makes it seem as if the cast is over emoting, thus making the acting seem a little bit campy. On the other hand, the rough scene transitions do eventually make way for smoother transitions, thus making the movie that much more bearable and more worth the watch, whether one is an experienced fan of this classic musical or not. The latest adaptation of Victor Hugo’s timeless story of redemption is one of the best movies of 2012. It isn’t the year’s best. But it does come close as it struggles with at least two glaring issues. Those issues are the movie’s scene transitions and its general cinematography. Much of the cinematography issue goes hand in hand with the problematic scene transitions. Though there’s just as much problem with this movie’s shooting style not directly linked to the transitions in question. Despite having issues with shooting and scene transitions, the movie’s positives far outweigh its negatives. And those positives are many. The most obvious problem weighing down this latest adaptation of Les Miserables is its shooting style (I.E. its cinematography). Director Tom Hooper (The King’s Speech) makes a valiant attempt to bring out as much of the emotion as possible from each scene with his shooting style. The problem is that he tried too hard. Throughout the story’s near three-hour run time, this shooting style is so consistent that it could potentially leave audiences feeling somewhat dizzy and even confused. The cameras spin, cut, and make every other possible transition so much that it leaves audiences not knowing where they are going to go next. It happens so much that it would be no surprise if it leaves some audiences so bothered by it that it makes audiences contemplate just walking out because they can’t take feeling the way which they feel. The issue with the shooting style is just the tip of the iceberg for this movie’s problems. To make matters worse, the shooting style is at times linked directly to its problematic scene transitions. Anyone who has seen Les Miserable live on stage knows that while they take time, the scene transitions are smooth enough to keep track of exactly what’s going on in the story. The case with the latest on-screen adaptation is the polar opposite of the stage play. The scene transitions in this version happen so fast that viewers almost need a program to keep up with what’s happening. This is one of the areas in which Hooper obviously struggled to do honor to the legacy established by this timeless classic. Rather than making smooth transitions, it felt almost as if much of the movie was just a load of scenes tied together with jump cut edits. Add in that problematic shooting style, and audiences get a work that felt anything but fluid. Rather it felt like each scene was piecemealed together. The two factors together made the movie noticeably less enjoyable than it could have been, despite the outstanding performance on the part of both Jackman and co-star Anne Hathaway. While Hathaway (The Dark Knight Rises, Get Smart, The Princess Diaries) isn’t technically a veteran in the acting business, she surprisingly proved herself in the role of Fantine. Her chops as a singer were the most impressive part of her performance. The emotion with which she sang made her portrayal fully believable. There are those who have alleged that she was doing little more than simply hamming it up for the cameras. But that obviously isn’t the case. Considering her previous roles, this could finally be the one to catapult her to the upper echelons of the movie industry. And while he is already in the businesses’ upper echelons, the choice of Hugh Jackman as Jean Valjean was common sense considering his current track record both on stage and screen. He carried the movie on his shoulders. Watching his moment of redemption at the story’s end will leave any viewer with more than just a tear in his or her eye. Perhaps the only poor choice in casting this movie was that of Russell Crowe. Crowe’s portrayal of Inspector Javert worked on the superficial level. He is old enough that he looked the part. But his general performance simply was not believable. Luckily that was about the only poor choice in casting this take on the time honored classic. That being the case, it is no surprise that this take on Les Miserables has been nominated for a handful of Golden Globes. And it would be no surprise if it makes the Oscar nod list more than once, too. Anchor Bay’s new movie, Butter, is one of the funniest movies of 2012. This twisted and quirky dramedy is unlike anything out there both in the mainstream and even indie universe. It’s twisted, yes. But it also has just enough heart to touch audiences and make them laugh at the same time. 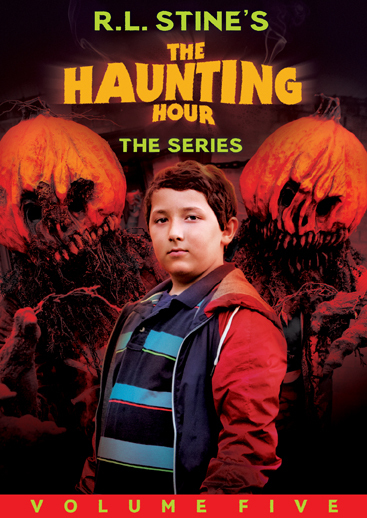 Add in a nice paced story, and the movie’s ninety-one minute run time passes by before audiences even realize it. The story behind Butter centers on Laura Pickler (Jennifer Garner—ABC’s Alias) and ten-year old Destiny (Yara Shahidi). 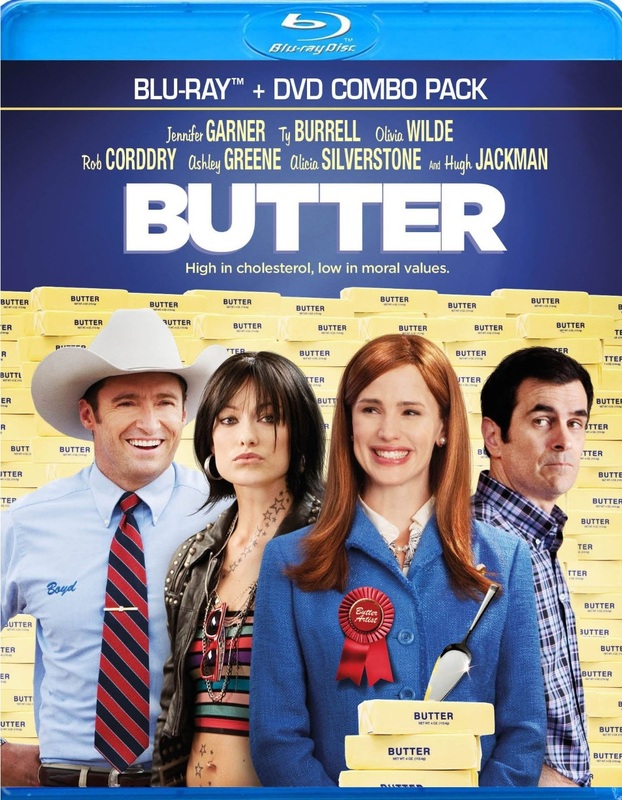 The pair end up facing off against one another at the Iowa State Fair butter carving championship as a result of Laura’s Husband Bob (Ty Burrell—ABC’s Modern Family) being asked to step down from the annual local butter carving contest as he had won too many years. Things only get worse when Laura discovers that Bob had been having an affair with a stripper named Brooke (Olivia Wilde). When Brooke enters the contest and loses, leaving only Destiny to face Laura, Laura’s determination to win gets way out of hand, leading to the story’s twisted comedy. Garner is absolutely hilarious in her role as the overzealous wife of the former state butter carving champion. She is reminiscent of Mandy Moore in Saved. Her vindictive nature is so over the top that audiences won’t be able to control their laughter. In contrast to Laura Pickler, Destiny will not only make people laugh but also will tug at audiences’ heart strings. Her attitude will make people root for her and laugh all at the same time. Seeing her put up against Laura’s overzealous, holier-than-thou personality makes Destiny that much more of a sympathetic character. She’s so innocent yet also edgy in her own right. Although she is an orphan, she hasn’t let being sent from home to home define who she is. She is still very much a confident, strong-willed young woman, yet she is still the exact opposite of Laura Pickler. That total contrast of personalities makes both the comic and dramatic moments enjoyable. Writer Jason A. Micallef did an impressive job balancing the twisted, quirky comedy with the story’s more emotional moments without going too emotional. That balance helped to make the story’s ninety-one minute run time pass by with so much ease. The pacing was perfect, too, to add in to that. Not one moment in this story felt like it dragged. And that the A-list supporting cast didn’t overpower Garner or Shahidi, either. It would have been so easy for director Jim Field Smith to let the supporting cast carry the movie, being A-listers. But paired together, Shahidi and Garner carried the movie effortlessly on their backs. Fellow veterans Hugh Jackman, Alicia Silverstone, and Rob Corddry obviously understood this, sticking to their supporting roles, and thus making the movie that much more of a joy. So much went in to making Butter the surprisingly enjoyable story that it is. From the writing of Jason A. Micallef to the direction of Jim Field Smith to the balanced acting of the top name cast, everything came together to make this story another of the year’s best indie flicks. It’s one more movie that proves to audiences independent films can be and are in many cases, just as enjoyable as major motion pictures released by the industry’s biggest studios.